It was a night to remember on Saturday, December 22 as fans of the eighties boy band, New Edition, watched four of its original members perform in their own cut-out group. Bobby Brown, Ronnie Devoe, Ricky Bell and Michael Bivins, using the group name RBRM, thrilled the audience with hits by New Edition, Bell Biv DeVoe and Bobby Brown. 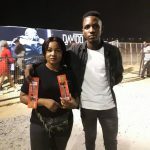 FirstBank, as part of its December tickets giveaway tagged #FirstBankIssaVybe and #DecemberIssaVybe sponsored two lucky followers of its social media pages to the premium event. The lucky winners who got VIP tickets got to sit right in front of the stage and enjoy free drinks from the event sponsors. 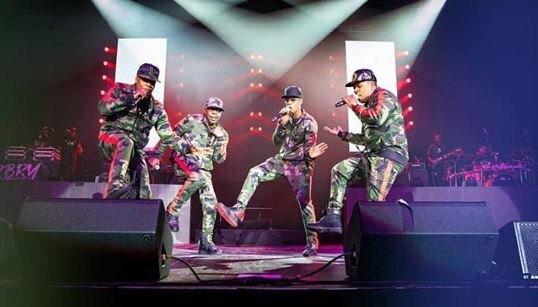 The ageless boyband showed they still got it displaying energetic choreographed moves to hits such as My Prerogative (Bobby Brown), Roni (Bobby Brown), Mr, Telephone Man (New Edition), Hit Me Up (New Edition) and BBD’s Poison. The audience displayed great enthusiasm as they were taken down memory lane back to their teenage years not just with the songs but the dance moves. There was loads of running man, the cabbage, stepping and line dancing. The group was hugely delighted to hear their songs issue from lips they never imagined they would hear it from. FirstBank’s VIP guests could not express their gratitude enough for the beautiful experience. 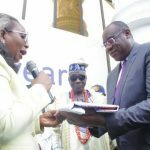 The FirstBank #DecemberIssaVybe and #FirstBankIssaVybe giveaway fest is driven to reward old, new and potential customers with tickets to premium events around Lagos. 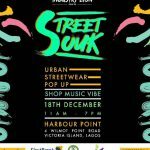 Follow FirstBank on its respective social media pages, thus on Facebook: First Bank Nigeria Limited, Twitter: @firstbankngr and Instagram: firstbanknigeria and get lucky to win tickets for A-list events happening in 2019. Among the A-list events partnered for a vybe with FirstBank include Burna Boy Live, Davido Live and many more including the stage play, Oba Eshugbayi and Moremi.